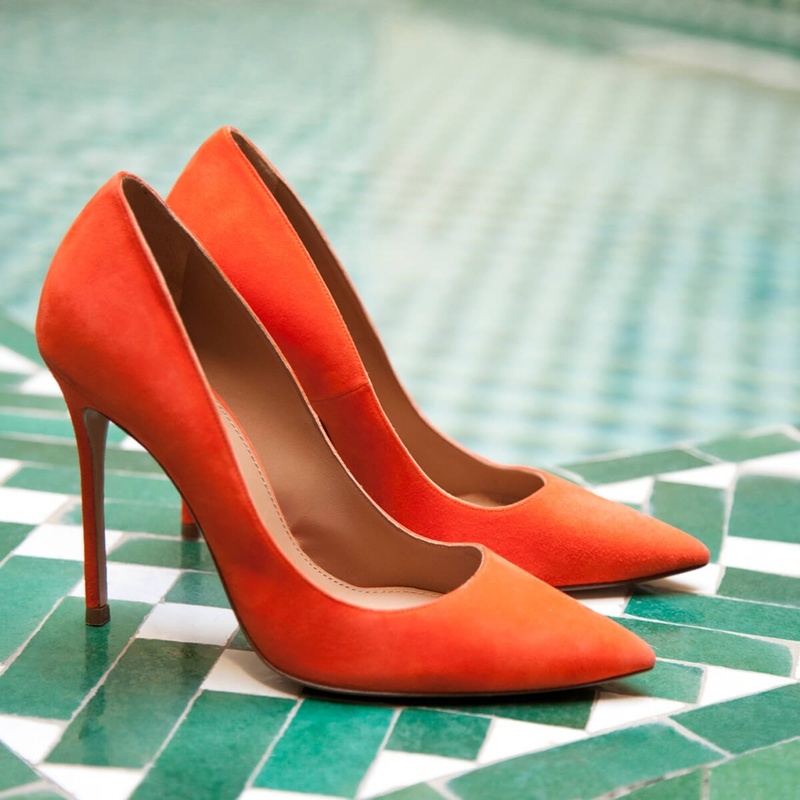 Vibrant tones are trading up this season. 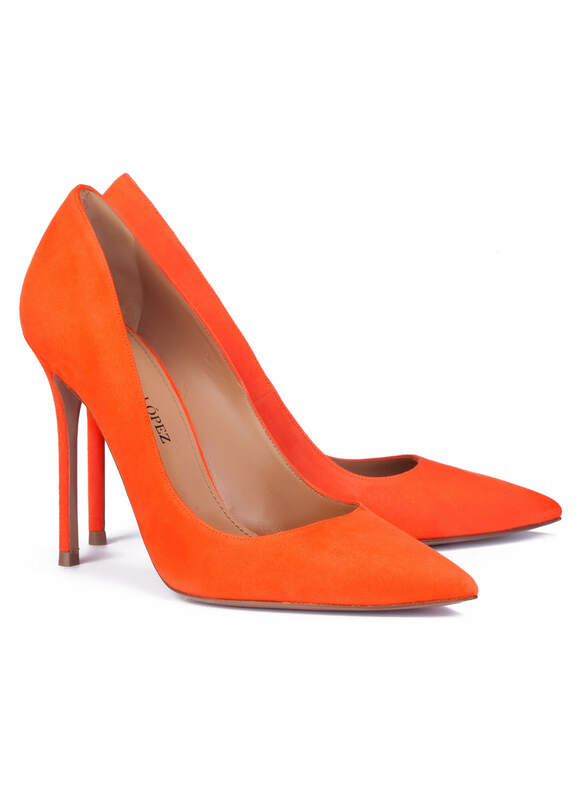 These orange stilettos made in Italian suede are lined in leather for comfort. 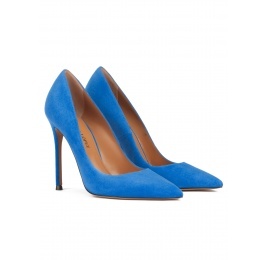 With a pointed toe design and set in a high 11 cm high heel, this pair of shoes are the perfect choice for your events or parties in spring and summer, combine them with dresses or denim for elegant looks or more casual.